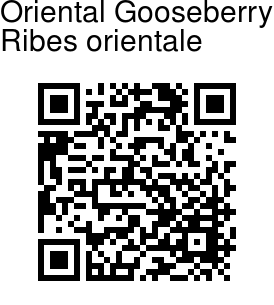 Oriental Gooseberry is a shrub 1-2 m tall, with glandular-hairy branches. 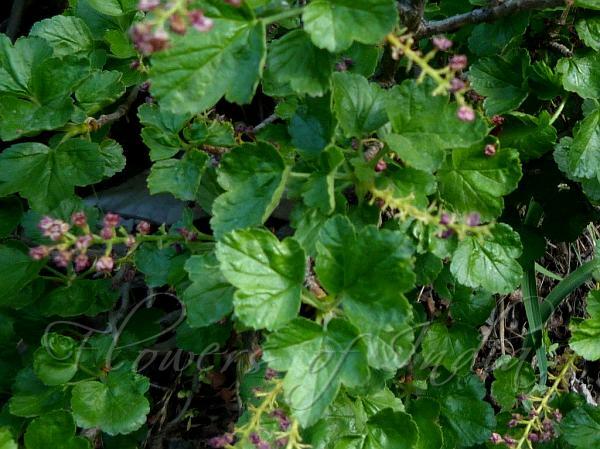 Leaves are rounded or kidney-shaped, shallowly 3-5-lobed. Lobes are blunt, rounded-toothed, with stiff glandular hairs. Flowers are reddish-purple, 3-5 mm long, in erect unisexual clusters Sepals are rounded, hairy, longer than the tiny petals. Berry is deep red, spherical. sparsely glandular-hairy, about 6 mm in diameter. Oriental Gooseberry is found in the Himalayas, from Afghanistan to W Nepal, at altitudes of 2100-4000 m. Flowering: May-June.